In tomorrow's State of the Union address, President Obama will likely revisit his plans to hold America's colleges and universities more accountable for helping U.S. students train for real careers. But while a stalemated Congress still blocks progress in many areas, a bipartisan group of state attorneys general just took a major step to help college students, especially veterans, single parents, and others struggling to support their families. The house of cards built by the worst-performing higher education sector -- predatory for-profit colleges -- may at last be in peril of collapsing. In the past few days, four of the biggest for-profit college companies -- Career Education Corp., Corinthian Colleges, Education Management Corp., and ITT Tech -- all filed disclosures with the Securities and Exchange Commission saying they were now under investigation by state attorneys generas. Each school said it was being probed by a group of 12-13 state AGs, with the AGs of Kentucky, Iowa, Pennsylvania, and Connecticut each taking the lead on investigating one of the companies. All four companies said they intended to cooperate. 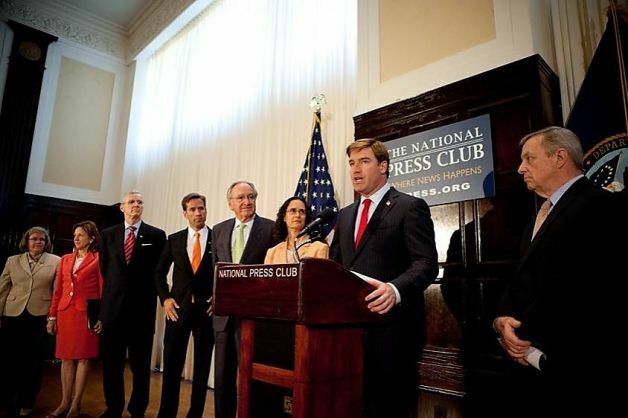 Kentucky Attorney General Jack Conway is leading a total of 32 state AGs who are investigating this troubled industry for misleading students about college costs, student loans, graduation rates, licensing requirements, placement results, and other matters. These announcements come on the heels of the disclosures in recent months that the SEC and the federal Consumer Financial Protection Bureau are each investigating both ITT and Corinthian, and following the filing last year of a major lawsuit by California's AG Kamala Harris charging Corinthian with abusing and deceiving students. The Justice Department last year shut down one of the worst for-profit colleges, ATI, and both Justice, which also is pursuing a case against EDMC, and the Federal Trade Commission are now paying closer attention to deceptions and frauds in this industry. The for-profit colleges continue to use their riches -- the industry gets some $33 billion a year in taxpayer money -- to hire expensive lobbyists and buy the allegiance of members of Congress to pressure the Obama administration to abandon its common sense gainful employment rule, which would cut off federal aid to career college programs that consistently leave students deep in debt. But these federal and state investigations are much less susceptible to political pressure. The predatory for-profit colleges still have plenty of fight in them, and plenty of cash to hire lawyers to try to gut these investigations. But at last there is real hope that another generation of students won't be deceived, abused, abandoned, and have their financial futures ruined by the morally reprehensible bad actors in the for-profit college industry.